You know, in some ways, I feel sorry for Game. Here we have a rapper who started so strongly with a great debut album in The Documentary which went on to sell over 5 million copies and has been sliding downhill ever since, tipped off by a high profile and seemingly never-ending feud with 50 Cent and G-Unit. He has never been able to match his previous success with each album he’s released and not for lack of trying. To me, 50 Cent is the rapper who got rich and stopped trying, Game is the antithesis. He has tried so hard over the years and two more LPs but he has never been able to reach the stardom and status as a rapper he feels he deserves. That’s what makes listening to the R.E.D. Album so difficult. It’s almost as if studio executives have no faith in Game’s ability to sell albums by himself so they set him up with feature after feature. That is the only reason I can envision as to why this album is so incredibly jam packed with R&B singers on the choruses and other rappers to back Game up with guest verses. 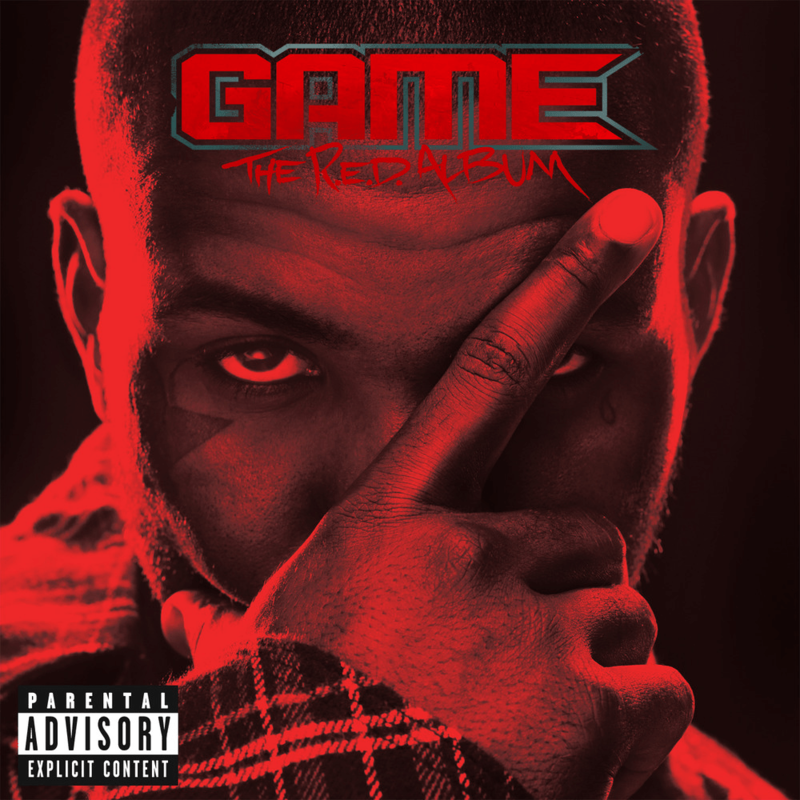 On the entire 21 track album, Game is only alone on five songs. As much as Game seems to idolize Dr. Dre, one of the prototypical Compton-based West Coast rappers, the only tracks he seems to have any involvement in are mere interludes. The disappointment in this review echoes the disappointment I feel from the album. The Boyz ‘n the Hood sampling Ricky is a standout track that showcases Game’s ability to tell a story and the Big Boi and E-40 featuring Speakers on Blast is a catchy and upbeat song that also shows off Game’s ability to adapt his voice and delivery style to make him sound like a completely different rapper. He can also be surprisingly affectionate, in the songs California Dream and Mama Knows, expressing his love for his Mother, wife and infant daughter. The album is a collage of so many different feelings and tones that going from track to track is surprisingly jarring. Game is one of the hungriest and most expressive rappers I’ve heard in my many years of listening to Hip-Hop. He’s aggressive, in your face, and completely unashamed about it. He wants more, he wants to be better and what’s almost sad is that you can hear how disappointed he is that he’s not there yet. Make no mistake; this is Game as you’ve heard him before. Nothing much has changed from years ago. He still drops names like he’s thumbing through a celebrity phone book (which Tyler the Creator amusingly points out in his verse on Martians vs. Goblins) but not as often. He’s still lyrically competent, he still wants you to know that he’s straight outta Compton, so to speak and he’s still backed up by a solid selection of beats. If you like Game, you’ll probably like this album. It’s unfocused and unpolished, but it gets the job done. I guess that’s part of the problem I have because, as long as this album has been in the cooker, it seems like it should’ve been better. Perhaps the music industry needs to take Game as seriously as he takes himself so he can truly shine.